Learn about the course of nature. 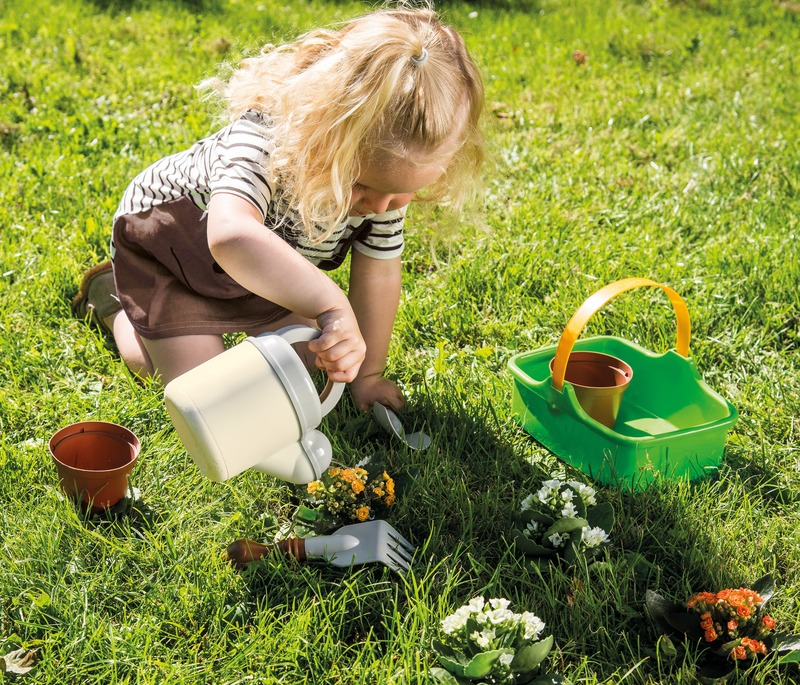 Nature is a multisensory learning environment, where the child, among other things, may experience the joy of observing the progress from sprout to flower and achieve an understanding of contexts. Very stable seesaw for 3 persons. The child that is seesawing alone is sitting safely in the middle of the seesaw. There must be 2 children in each opposite end of the seesaw. 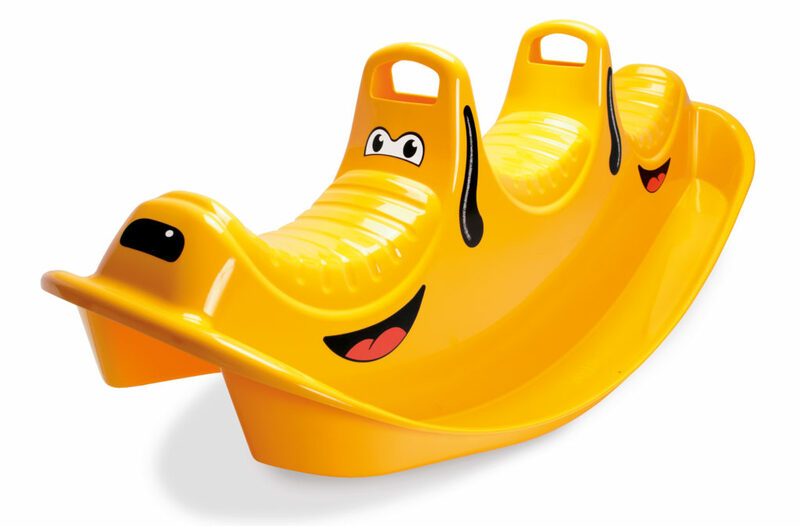 The seesaw is rated for 3 x 50 kg. Helps strengthening the sense of balance and the physical development. 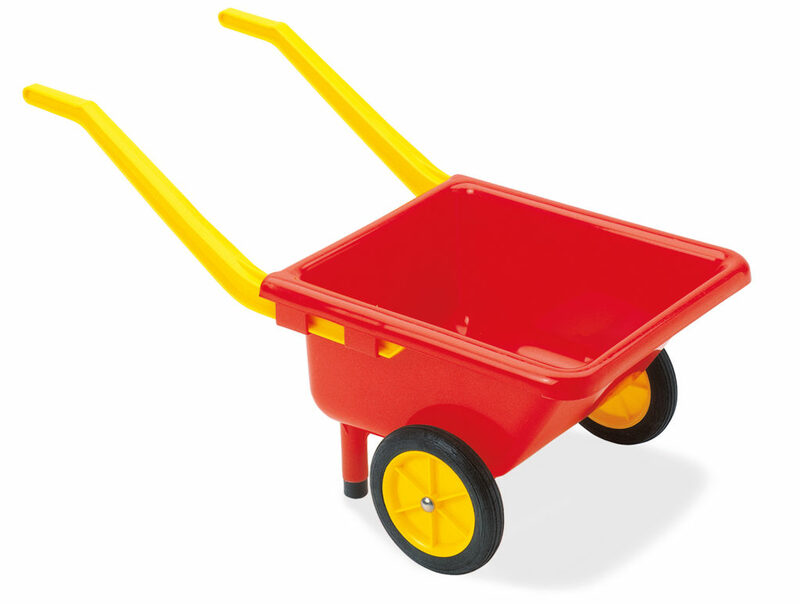 Extremely stable wheelbarrow with two tilt-free and silent rubber wheels. May carry up to 50 kg. and is applicable for both indoor and outdoor use. The garden is a wonderful platform for play and fun. It provides room for grand gestures, bird song and fresh air. When the children are young, it is important that their physical skills be stimulated at an early stage in order for the child’s movement skills to develop and strengthen. When the child is playing outside using its physique, it becomes familiar with its body and experiences the joy of moving. 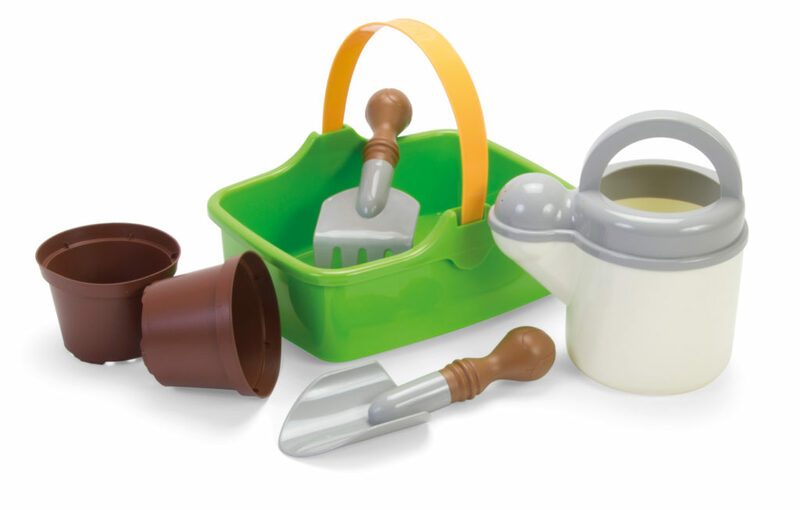 Therefore, playing with garden toys is contributing to the child’s healthy development. Later on, when reaching school age, this will ensure a healthy relationship with physical exercise and nature. In addition, the elements of nature helps strengthening the child’s senses, for instance in the form of bird sounds, the sense of feeling when touching the grass, the trees, the sand and the rocks as well as well as the sense of smell – how does nature smell? 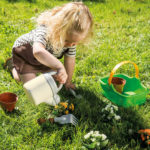 The child may assist a parent in gardening and enjoy time together with and adult, which helps strengthening the child’s development, because children like to imitate others. How does mother rake the soil in the flowerbed, and how does father mow the grass, etc. 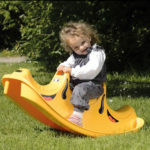 To support the category, dantoy offers a multitude of products, including children’s wheelbarrows with both plastic and rubber wheels for less noise as well as two wheels maintaining the child’s balance and preventing the wheelbarrow from tipping. dantoy also manufactures seesaws for both one and three persons with beautiful designs and colours, garden sets for private use with a basket, a shovel, a rake and a pot with seeds as well as garden sets for institutions with wheelbarrows and many garden tools. In addition, we offer a cool lawn mower that produces a humming sound, when pushed forward. All dantoy products are safe. Therefore, we have chosen to add the Nordic Ecolabel (the Nordic Swan) to approximately 90% of our products and more are coming. Nordic Ecolabelled toys are the official Ecolabel of the Nordic countries and are, among other things, free of phthalates (suspected of being endocrine disrupting), perfume (allergens), aromatic solvents (harmful), PVC, lead, cadmium, mercury and organic tin compounds (harmful to both health and environment). 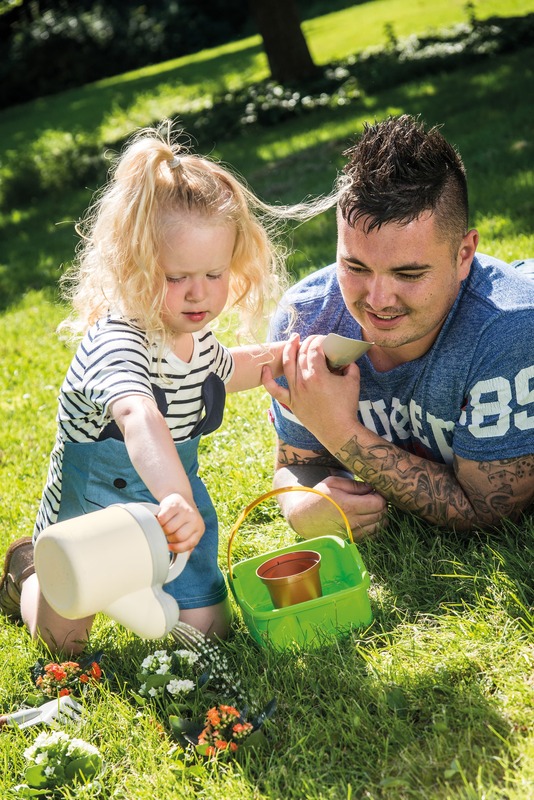 Read more about the Nordic Ecolabel here: http://www.ecolabel.dk/da/virksomheder/brug-miljoemaerkerne/toolbox-licenshavere All our products are dishwasher safe, however we recommend cleaning toys with stickers manually. 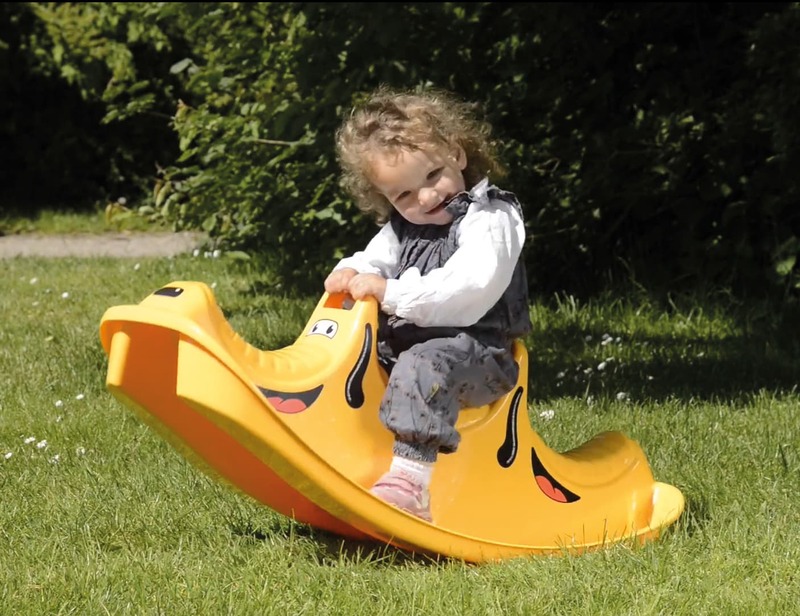 At dantoy, we only use premium and hardwearing materials, and the products may thus be used repeatedly in the sandpit, the kindergarten, the garden or the playground.